Pioneer Solutions Europe BM grades are bulk/powder acrylic resins covering a range of applications including but not limited to marine and container coatings, color concentrates, tile paint, and much more. 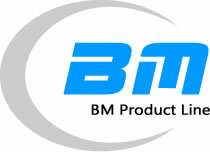 Please view the following data sheets to view which BM product most fits your specific needs. BM164 92,000 62 0.4 ≤ 3.0 Aromatics, esters, ketones Outstanding combination of hardness, flexibility, and adhesion to various substrates It is suitable for dear coating of interior and exterior concrete floors and road surface.